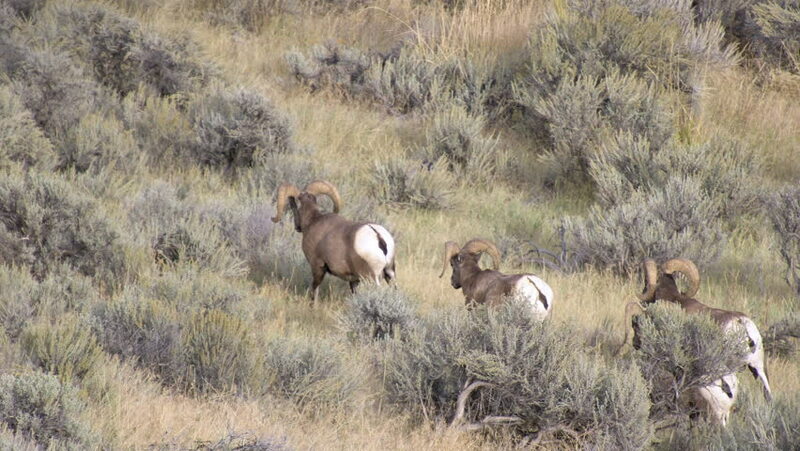 Four bighorn sheep walking through sagebrush on the move. sd00:06Mule deer (Odocoileus hemionus) grazing between sagebrush, Montana + on camera, showing its large ears. hd00:12Guanaco lama exotic mammal wild animal in Andes mountains of Patagonia. Pasture of herbivores in wildlife in Tierra del Fuego.